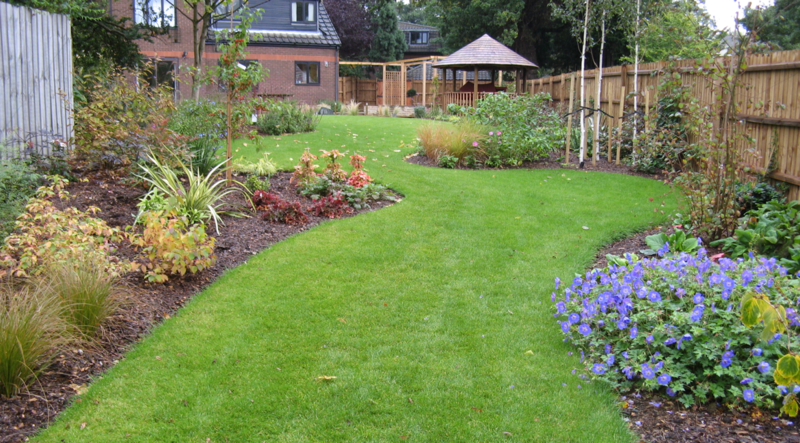 The original garden in this semi-rural site in Enfield, Middlesex was small and overgrown. 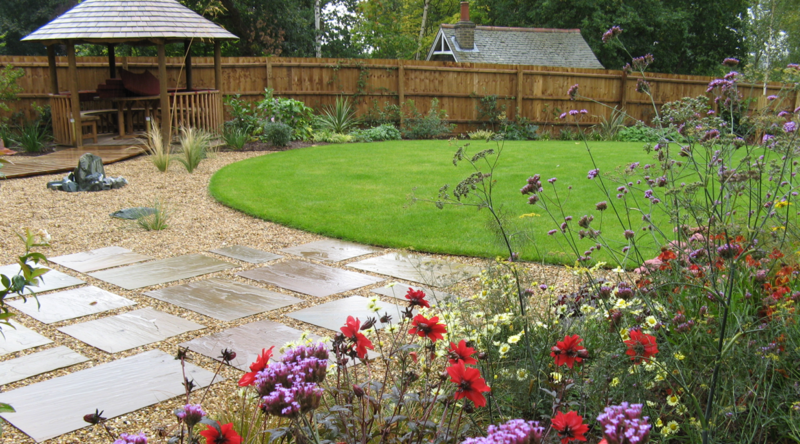 Having purchased an additional three acres, including a meadow and woodland, the brief was to create an informal garden with interest throughout the year, incorporating the newly acquired land. 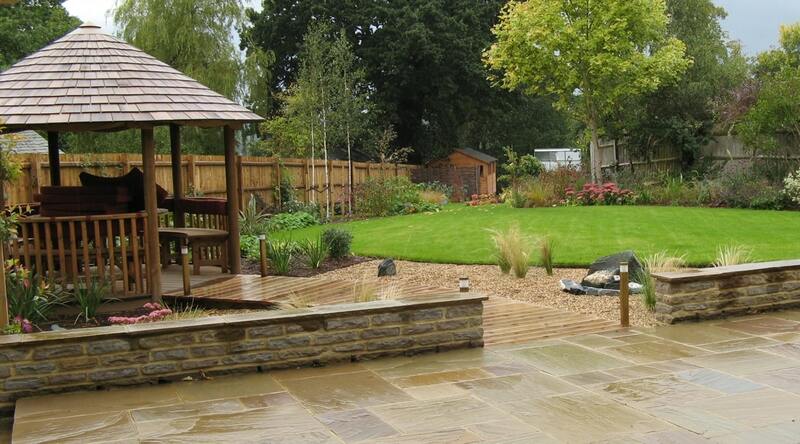 The new terrace leads to a large lawn, whilst a grass path meanders through to a new vegetable garden. A curved deck path leads through a gravel garden to the new Breeze House, ideally placed for alfresco dining. "I have no hesitation in recommending Amanda. She took time to understand what we were looking for, produced a great design that had to meet some challenges from the overall shape of the area and established trees with preservation orders. 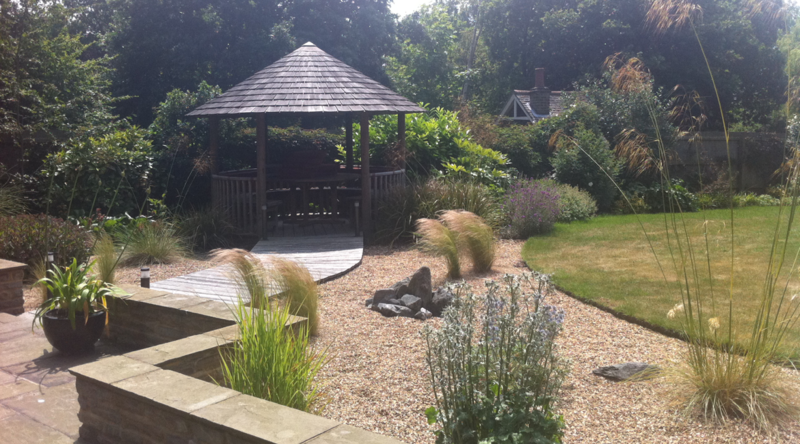 The garden was built to time and budget and two years on looks fantastic."